SilverZone is one of the best competitive exams which enhances literacy standard among school children. SilverZone is among the best exam to enhances the standard of literacy among school children. It also motivates, encourages and nurtures the young talents. The systematic and meticulous system of conducting the exam and sending the result of the same is excellent. 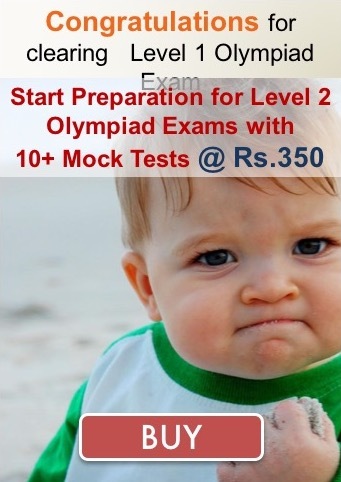 Olympiad Success provides online platform to prepare for following Olympiads organized by SilverZone. The platform consists of preparation guide, online topic-wise sample papers, mock tests and a robust monitoring system. Please visit the links above to get more details and practice papers for SilverZone Olympiads. In IIO, Top 2 students of the 3rd level participants will be Rs. 1,00,000/- each along with a Winner’s Trophy. In IOM, Top 2 students of the 3rd level participants will be sent for educational excursion to NASA. In IOS, Top 2 students of the 3rd level participants will be sent for educational excursion to NASA. In IOEL, Top 2 students of the 3rd level participants will be awarded with a cash prize of Rs. 1,00,000/- OR Trip to UK along with a Winner’s Trophy. Olympiad 1st rank holder of class 12th will be awarded with a cash prize of Rs. 75,000/- for IIO & IOEL and will be awarded with a cash prize of Rs. 1,00,000/- along with a Winner’s Trophy and Olympiad 1st rank holder of class 11th will be awarded with a cash prize of Rs. 50,000/- along with a Winner’s Trophy. For IIO, 1st Olympiad rank holder from classes 7th to 10th will be awarded a Laptop along with a Winner’s Trophy and from classes 1st to 6th will be awarded a cash prize of Rs. 10,000/- each with a Winner’s Trophy and for IOM, IOS & IOEL, 1st Olympiad rank holder from classes 1st to10th will be awarded a cash prize of Rs. 15,000/- each with a Winner’s Trophy. For IIO, 2nd Olympiad rank holder in each class will be awarded a cash prize of Rs. 7,500/- each with a Winner’s Trophy and for IOM, IOS & IOEL 2nd Olympiad rank holder in each class will be awarded a cash prize of Rs. 10,000/- each with a Winner’s Trophy. For IIO, IOM, IOS & IOEL, 3rd Olympiad rank holder in each class will be awarded a cash prize of Rs. 5,000/- each with a Winner’s Trophy. All State Rank 1st, 2nd & 3rd rank holders of all classes will be awarded with exciting prizes. Class Topper 1st, 2nd & 3rd rank holders of every class of each school will be awarded Gold, Silver and Bronze medals respectively, provided the topper obtains at least 50% marks. 1st Intl. Olympiad rank holder from classes 6th to 10th will be awarded with a cash prize of Rs. 10,000/- each along with a Winner’s Trophy. 2nd Intl. Olympiad rank holder in each class will be awarded with a Tab along with a Winner’s Trophy. 3rd Intl. Olympiad rank holder in each class will be awarded with a Digicam along with a Winner’s Trophy. 4th to 10th Intl. Olympiad rank holders in each class will be awarded with wrist watches. 11th to 25th Intl. Olympiad rank holders in each class will be awarded with exciting Gift. 26th to 500th Intl. Olympiad rank holders in each class will be awarded with the topper achievement certificate. Class Topper 1st, 2nd & 3rd rank holders of every class of each school will be awarded with Gold, Silver and Bronze medals respectively, provided the topper obtains at least 50% marks. All the participants will be awarded with the participation Certificate reflecting their Class/State/Olympiad Ranks and Marks. 1st Intl. Olympiad rank holder in each class will be awarded with a Cash Prize of Rs. 10,000/- along with a winner’s Trophy. 2nd Intl. Olympiad rank holder in each class will be awarded with a Cash Prize of Rs. 7,500/- along with a winner’s Trophy. 3rd Intl. Olympiad rank holder in each class will be awarded with a Cash Prize of Rs. 5,000/- along with a winner’s Trophy. 11th to 25thIntl. Olympiad rank holders in each class will be awarded with exciting prizes. The above details are updated as of 12-08-2017 from www.silverzone.org. Please Contact us if you have any query.